No name for an ARG yet, but let's kick things off. 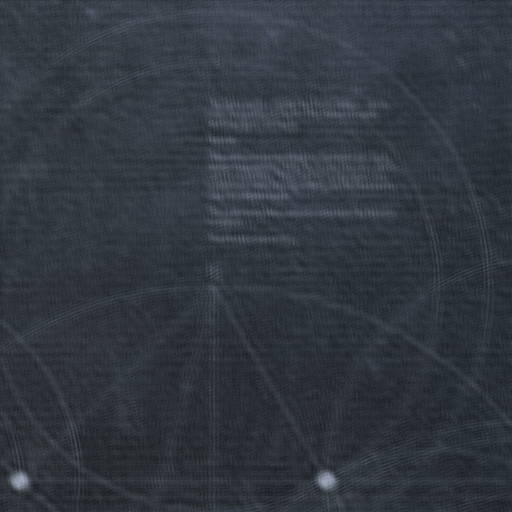 Over at http://destiny.bungie.org, Grizzlei pointed out the beginning of what appears to be a new ARG. You can access the potential ARG by heading over to http://alphalupi.bungie.net/?day=0. By clicking the two center patterns, the user is redirected to a new page which states, "Pattern Active. Array Element Online." petetheduck has pointed out that seven days from today is February 18, which happens to be the 49th day of the year. Whether or not this is actually an ARG or just one awesome lead-up to Bungie's big reveal has yet to be determined. Have it at everyone! Over at DBO Duncan made a great post about Bungie Day's Geomancy, and it could prove valuable as we move further into this ARG. Haha, just checked 10 minutes ago, nothing here. Good work getting it up fast. What can we say? We are on top of this! Also, a big thank you to Wu for giving me enough permissions to allow me to do this! My first thought when I saw the Geomask image was to run it backwards through a spectrum analyzer. I don't have one, though. And if I did, I probably wouldn't know how to do it. 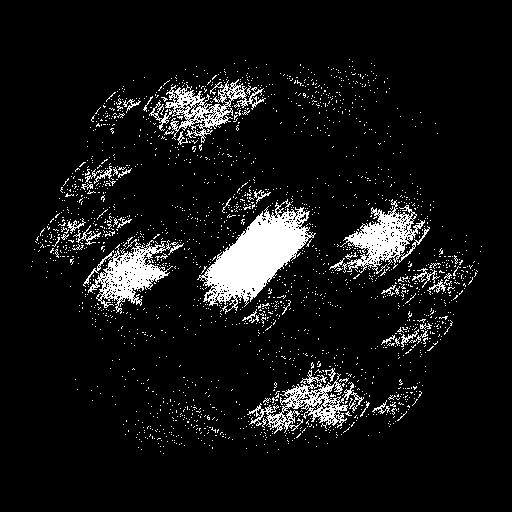 I then tried similar stuff with the Output image. The only layer filter that kind of seems to work is "Darken"
Call me crazy, but I think the word "Hello" is pretty clearly defined after the first paragraph. Right track? Thoughts? Comments? Duncan probably is doing a far better job than I at the moment. EDIT: By the way, I'm wondering if Geomask is implying that we should overlay it onto either a picture of the Earth, or some other round thing. I'm not versed enough if Destiny lore to think of if there has been any planet in some concept art or something so far, though. Duncan probably is doing a far better job than I at the moment. Wouldn't know. But he is trying to get global participation. He currently wants everyone to try activating their node at around 11pst tomorrow. Also, you changing the filters to Geomask make it look like the other images I've seen so far. Pretty interesting. It certainly seems like a case of it getting sharper the more people are present. Perhaps it's taking location information, so it's not just be a total number of people. It might cycle around too? The key is understanding how it's tracking each client. The text under the output.png, "[Note: (x, y) visibility limited. (u, v) analysis might prove useful. ]", seems to indicate that we need to arrange multiple outputs to get a clearer image. Like, layering them on top of each other, maybe. EDIT2: Can we estimate the word count per paragraph? Perhaps it's an excerpt from an existing publication? That's what I was trying in the above post. I think ncsuDuncan has the same idea, hence why he asked everyone to share theirs in the first place. "I think I know what Bungie (or their PR company) has done (or are trying to simulate). The terminology being used in this teaser is very similar to that used in radio interferometery, a technique where signals from individual radio telescopes are combined electronically to produce highly detailed images on the sky. Collections of such telescopes are called "arrays" (like the Very Large Array in New Mexico). A given telescope is sometimes called an "element." Pairs of telescopes in an array are "baselines." In a radio interferometer, signals from each pair of telescopes are interfered and the resulting product, a "visibility," is measured. A given pair of telescopes produces a measurement in spatial frequency space, the "uv-plane." The ensemble of visibilities are Fourier transformed into an image. If that's the case, then the Geomask could literally be an overlay on a map of the Earth where white indicates a visitor from that location. EDIT: Of course that also means that the site is doing what I was trying to do automatically. So I guess we don't need to aggregate the images. The image is just going to naturally clarify. Already I think I can make out a "W" starting the second paragraph.